Elliott Dudnik holds degrees in Architecture (BArch) and Structural Engineering (MS) from the Illinois Institute of Technology and a PhD in Urban and Regional Planning from Northwestern University. He is a licensed architect, holds a NCARB certificate and is a LEED Accredited Professional. In 2011, he was elevated to the rank of Fellow of the American Institute of Architects, one of the highest honors that the AIA can bestow upon a member. In addition, he is a member of the Construction Specifications Institute, American and International Solar Energy Societies, and the International Code Council. As founder and principal of Elliott Dudnik + Associates, Elliott Dudnik has extensive experience with historic preservation, renovation and adaptive reuse as well as new construction for private- and public-sector projects ranging from multi-story apartment buildings to museums, libraries, municipal buildings and single-family residences. Professional recognition of such projects includes more than a dozen design awards. Prior professional experience included work with several of Chicago's largest architectural firms on a number of high-rise, transportation and large-scale building as both a structural engineer and architect. He has served as a technical consultant and expert witness in more than 35 court cases and on many other building failure, construction or code-related matters. He has been an expert witness for the City of Chicago Department of Law and a consultant for the Chicago Building Department where he presented façade failure and truss inspection seminars and developed and taught six building inspector professional development-training courses as well as a construction-design-inspection training course based on the City's Porch Construction and Assessment Guide that he helped to write. He has also served as a member of the Chicago Building Department Advisory and Porch Prototype Review Committees and three Chicago Building Code Revision Task Groups. Elliott Dudnik has had a long and distinguished career as an architectural educator, most notably a member of the faculty of the University of Illinois at Chicago School of Architecture from 1967 through 2005, attaining the rank of Full Professor as well as serving as Director of Graduate Studies and Associate Director of the School. He taught nearly sixty different architectural design, building construction, computer-aided design, energy-conscious design, professional practice and structural engineering course during his UIC career and in 2001 was recipient of a Teaching Recognition Award from the UIC Council for Excellence in Teaching and Learning. In addition, he was a Senior Fulbright-Hays Senior Scholar serving as a visiting professor at both the Universities of Sydney and Newcastle in Australia. He has also lectured at Bangkok's Chulalongkorn University, the Moscow Architectural Institute, National University of Singapore, and Japan's Waseda University, Osaka University, and Kyoto Institute of Technology. In the United States, he taught or lectured at Lehigh University, University of Southern California, Illinois Institute of Technology, Carnegie-Mellon University, Harper Community College and Loyola University of Chicago and most recently as Senior Lecturer in the Masters of Architecture Program of the School of the Art Institute of Chicago. 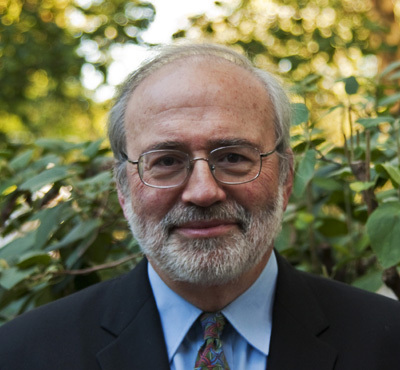 He is the author of nearly fifty publications and recipient of more than thirty research grants and fellowships from such agencies as the National Endowment for the Arts, US Department of Energy, National Science Foundation, Australian Research Grant Committee, Illinois State Board of Higher Education and the American Institute of Steel Construction. He developed and directed the UIC Architect's Licensing Examination Refresher Course from 1984 through 2004 and the UIC School of Architecture Cooperative Work-Study Program from 1997 until 2002 and served on four National Architectural Accreditation Board visiting teams.